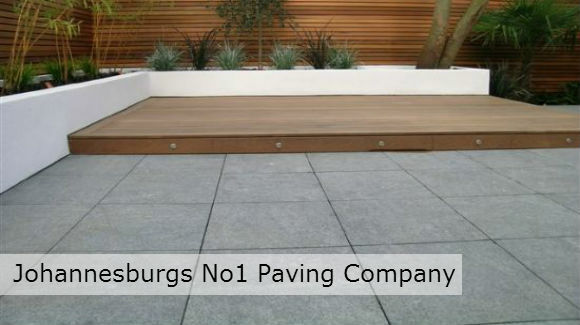 We cater for all your Paving Requirements in Johannesburg and the surrounding Suburbs. From Driveway Paving, Patios, Pool Deck Paving and Pathways, one call to our professional team covers it all. We use a vast range of materials and the choice is unlimited in terms of what we can achieve. We cater for any size, shape, colour & texture to leave a finish that is truly unique to you and your home. We offer the very best in Driveway Paving in Johannesburg. Whether your looking for a completely new drive or just a renovation of your old one, we can help. From full block paving through to concrete applications we cover it all with the best rates you will find in the region! We also deal with walkway paving, professional design and build of swimming pool decks and offer a full range of patio paving options. Our pavers in Johannesburg are the best in the business bringing your requirements and design specs to life. Whatever you might be looking for in terms of design, pattern, shape or colour, we are confident that we have the right solutions for you. We use the very best materials and high grade stone to leave a durable finish that both serves its purpose well but is also unique and appealing to the design of your property. From Block Paving, Natural Stone Paving and Concrete Paving slabs, we have unlimited choice when it comes to colours, shapes, sizes and textures. Bring your property to life and get in touch today for more information and obtain samples of materials available.